award-winning writer and filmmaker and host of the acclaimed Global Spirits series seen on PBS and Link TV, Phil Cousineau weaves stories, myths, parables, and quotes from famous travelers with practical suggestions and accounts of modernday pilgrims to show that there is something sacred waiting to be discovered in virtually every journey. Connecting these voices is a series of meditations that suggest different ways to practice what pilgrims and poets have done for centuries, to see with the "eyes of the heart." With more than 70 illustrations, this book is for the traveler who longs for something more than diversion and escape. 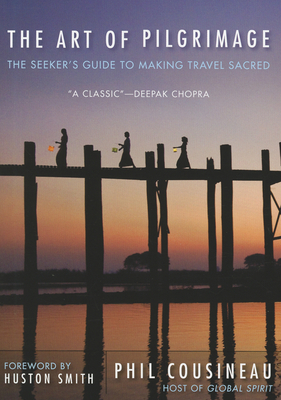 The Art of Pilgrimage shows that every journey can be sacred, soulful, and transformative if it is undertaken with a desire for spiritual risk and renewal. Whether traveling to Mecca or Memphis, Stonehendge or Cooperstown, one's journey becomes meaningful when the traveler's heart and imagination are open to experiencing the sacred.